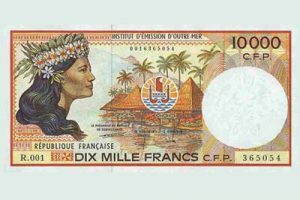 The local currency is the French Pacific Franc – known by the abbreviations CFP and XPF. Denominations available are the 1/2/5/10/20/50 & 100 CFP coins, and 500/1,000/5,000 & 10,000 CFP notes. Banks are found on all of the islands you are likely to visit, and offer reasonable rates of exchange for your NZ dollars or traveller’s cheques. ATM machines are present in all the main islands. A common “myth” we’ve encountered is that US Dollars are recommended by many as being an acceptable currency for cash or traveller’s cheques. Don’t be fooled – the NZ dollar is recognised and accepted by all banks in Tahiti, and for exchange in most hotels. Changing into US dollars only means another change into CFP when you get there. Frankly, it is not worth the hassle. It is recommended that you use a bank for currency exchange as hotels often use a “buffer” rate which is not always competitive. Most NZ banks can obtain CFP cash for you before you leave – although you may have to give them a few day’s notice. As concerns credit cards, the acceptance and use of these throughout the islands is widespread. The most popular cards are Visa and Mastercard, followed by American Express and Diners Club. We have found the exchange rate used for these to normally be quite reasonable. Tahiti enjoys a fairly even year round climate with daytime temperatures usually around 28-33° Celsius. This drops at night time – although only by several degrees. Weather is more humid from November through April, and dryer for the remainder. Year round the sun rises between 6-7am and sets between 5-6pm. Whilst the sun is not as intense as it is during a NZ summer, you can still get burnt, especially if you arrive straight from our winter. An excellent local range of tanning lotions, sunscreens and sunblocks are available. You might also be interested to know that Tahiti has a solar tide rather than the lunar tide which we have. This means that the low tide is at sunrise and sunset – with little difference between low and high. Due to the tropical warmth, all you’ll really need is light casual clothing. Natural fibres provide the best comfort. Even for the coolest of evenings the most that you’ll require is a light jersey or sweatshirt. Jackets & ties are very rarely worn. 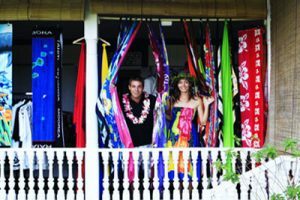 With the exception of downtown Papeete restaurants and nightclubs, the dress code is very casual and comfortable, practicality is the most important fashion. Don’t be afraid to wear the local “pareo” wrap-around – it looks good, can be worn in a variety of ways and is very cool. This goes for both sexes! European Union : Austria, Belgium, Bulgaria, Croatia, Cyprus, Czech Republic, Denmark, Estonia, Finland, France, Germany, Greece, Hungary, Ireland Republic of (EIRE), Italy, Latvia, Lithuania, Luxembourg, Malta, Netherlands, Poland, Portugal, Romania, Slovakia, Slovenia, Spain, Sweden, United Kingdom. You will need at least 6 months validity on your passport to travel to Tahiti and her islands. Nationals from other countries need to obtain a visa. Visitors arriving in French Polynesia must be able to show proof of a return ticket or, upon arrival, pay a repatriation deposit. Generally speaking any NZ appliance should run without problem in Tahiti – except that the twin “pin” European plug is used, and you will require an adaptor. These are available from Electrical shops all over NZ, as well as in many Tahitian hotel boutiques. Most hotels have the standard electric razor multi point outlet. In many of the outer islands, the supply can often be sourced from small generators. In this case, the current can often fluctuate, and this can affect the performance of some high powered appliances. Some of these hotels also have solar-heated water supplies. In all cases, we strongly recommend that you check with the hotel, BEFORE plugging in. Tahiti is well known amongst the Pacific Islands for her great food and the wide variety of styles available. You’ll find lots of seafood, especially different sorts of local reef and ocean fish, clams, sea urchins, crayfish and fresh water shrimps. Local pork features in many Tahitian dishes and is good eating. Most red meat, and cold water seafoods are imported from NZ and is, of course, top export quality. Cold climate fruit and vegetables are also quite often brought in fresh from NZ, Australia, Chile and the USA. As you can well imagine, the range of tropical fruits available is nothing short of amazing. Tahiti’s pineapples are the sweetest you’ll taste, the ever useful coconut is everywhere, and these islands also offer something like 300 different varieties of bananas. Mangoes, limes, papaya, and oranges are readily available (in season). Other “must try” items include fresh lychees and the “pamplemousse” a huge local grapefruit. Many varieties of kumara are also available. As concerns food styles, the most obvious is French, and you’ll find a proliferation of Chinese, Vietnamese, Italian foods as well, all mixed with the local Polynesian style and produce. Traditional Tahitian food is similar to the Maori Hangi, with all sorts of tropical influences – it is well worth the experience. Finally, what could be called the “national dish” is fresh marinated fish or “Poisson cru” (don’t let the spelling put you off!). This comes in many styles, the purest form being with lime juice and fresh coconut milk, both the French and Chinese have their own versions. To try this, even once, is a must -many visitors become addicted to its brilliant flavour. Many of Tahiti’s hotels are unique in their design and styling to anything you’ll find in the world. Most offer accommodation in individual thatched “fare” (bungalows) located in tropical gardens, along beaches, and even out over the water on stilts. These units are designed to be cool, and normally have high pitched rooves to allow warmer air to escape. The traditional style units will have a roof of thatched “pandanus” flax, which is both pretty and practical. TELEPHONE LINES – Telephones in the majority of Tahiti and her islands hotels are direct dial for both international and local calls. You will however initially need to phone the hotel’s Reception so that they can “open your line” which will enable you to dial straight out. The majority of Papeete’s hotels offer air-conditioned accommodations, whilst in the other islands, most properties offer ceiling fan-cooled units, ably assisted by sea breezes. Most hotels are of European style and standard, and this is good in many ways. However, for New Zealanders this means that some properties do not have refrigerators, or the tea & coffee facilities we are used to at home. In these cases tea and coffee are available from the bar, restaurant or through the hotel reception. If you like a “cuppa” before retiring or before getting up in the morning, you would be wise to look at getting a small immersion heater (inexpensive, and very portable) to take with you. These are available from most electrical stores. Even a small kettle comes in handy. For those accommodations without refrigerators (and these are becoming fewer every year), this is normally compensated for by the availability of ice and ice buckets. For all hotels in French Polynesia a compulsory local city tax of approximately 150XPF (French Pacific Francs) per person per night (200XPF per person per night for stays in Bora Bora) must be paid direct to the hotels. Tahiti is 22 hours behind NZ standard time – when it is 12 noon Monday in NZ, it is 2pm Sunday in Tahiti (or during NZ daylight saving it is 1pm). Due to the international dateline, you will gain a day en route to Tahiti and lose one coming home. Tap water in Tahiti is safe to drink, and is regularly tested. In the outer islands, water is collected through catchments, from springs, and bores, and can vary in quality. Sometimes the change in water can affect sensitive stomachs. Many people prefer to drink inexpensive locally bottled spring water available practically everywhere. A wide range of imported mineral waters is also widely available.